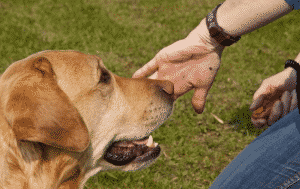 Clicker training is arguably one of the more advanced techniques for training dogs. Put simply, whenever you press on a clicker button a certain sound is generated to which the dog responds to. The trainer uses a clicker, a small handheld device with a tab for pressing, which can be purchased from most pet stores on the internet and on the high street. Clickers are also available nationwide meaning the gadget is inexpensive and affordable for all dog owners. 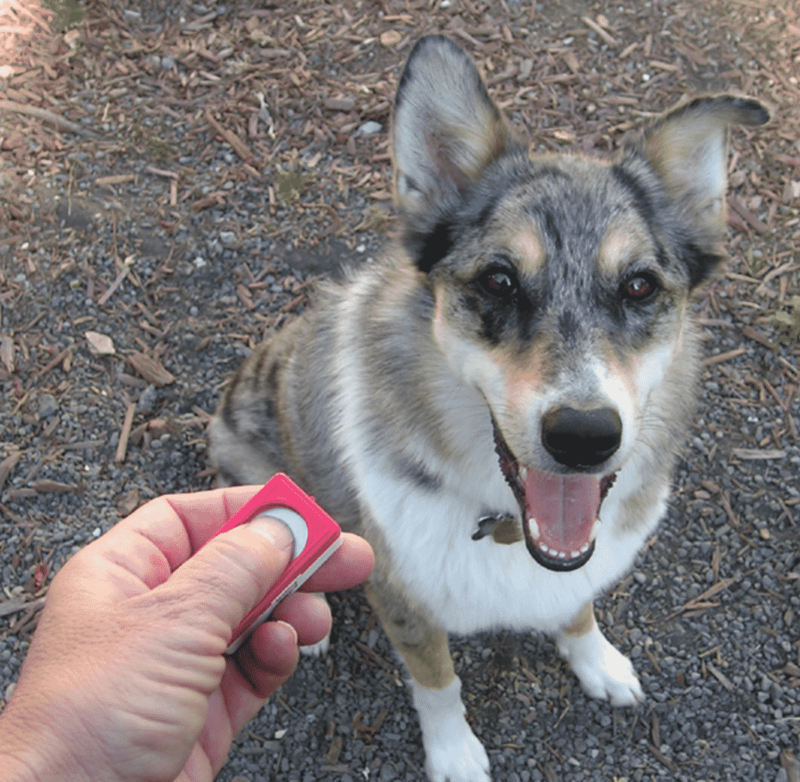 Clicker training works for all breeds and sizes of dog and achieves positive results. 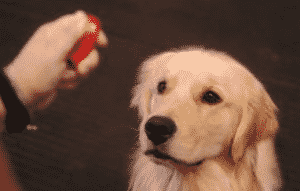 The dog or puppy learns that a reward follows the clicker sound. Knowing a treat is imminent, the dog respond to commands when it hears that particular sound. The principle is effective and is a great technique for training dogs. It requires no professional involvement and is cheaper than sending your pet to obedience classes. Training your puppy or dog to react to your commands strengthens the bond you share with your pet. 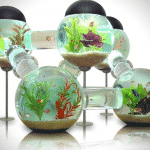 Clicker training achieves positive results faster than other methods. The owner and its dog have fun during the training sessions with both parties getting what they want. Clicker training is a far more effective than training tool than simply saying ‘yes’ or ‘good’ to the dog. Using words gets results, but as dogs don’t understand the human language, it is not always as effective a means of communicating a message, and in cases where the dogs do understand such words, it takes much longer for them to understand it. Another point that speaks to the effectiveness of the clicker sound over a human voice is the fact that sounds change, but the sound of the clicker always stays the same. Oftentimes, whenever you might be disappointed with your dog’s reaction, or lack of it, to a verbal command you have given, your body language will mirror this, which can often be confusing to the dog. But in contrast the sound and tone of the nothing alters with the clicker. The sound is consistent and clear and the dog responds to the noise to get the reward. Clicks are good, but don’t forget the treat! Rewarding your dog with home-made dog treats is one of the best things you can give them as reward for obeying your clicker sounds. They are easy to make and many recipes for biscuits and baked treats are online. 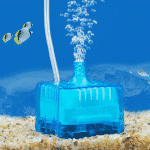 Knowing these are available will encourage your pet to work harder providing vital exercise and stimulation, another reason clicker why trainer is beneficial. Training a dog is difficult. Unless the trainer understands the training process, frustration sets in when results fail to materialize. Despondent by the lack of progress, the dog and its owner are reluctant to try again. Encouragement and perseverance are the key to success and will pay dividends. We should however mention and stress the fact that punishment is not part of the clicker training process. If the dog fails to respond, it forfeits the reward. Instead, it learns that positive action and results equal a treat. Failure means the dogs get nothing except the chance to try again. Reward is a form of positive reinforcement. Continuous encouragement will help the dog build a better relationship with its owner whereas punishment training leads to confusion. Punishing a dog when it ignores a command results in confusion. The dog does not understand what it has done wrong, and confusion leads to a miserable and unhappy dog. In conclusion, we should also mention that clicker training eliminates that element of confusion that a dog can often feel. Uncomplicated and straightforward, dogs learn faster using positive reinforcement instead of punishment. It is preferable to praise a dog when they have done something right, rather than scold them for doing something wrong. Positive encouragement is the fastest way to eliminate bad behaviour and build confidence in your pet.